A look at which local companies have employment opportunities in Clarion County and surrounding areas. 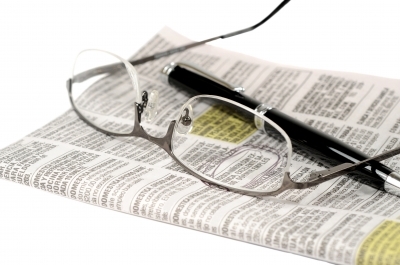 Do you have a job listing that you’d like to include in this list? E-mail the listing to explorejoblistings@gmail.com or call 814-918-2003. They offer competitive salary and unlimited earning potential. If you have no prior experience they are willing to train. Overtime is available and roofing experience is preferred. If you are interested please call Pat Steinman at 814-221-4467. The Gold Eagle Inn in Brookville, PA, is currently seeking kitchen help. Monroe Township is seeking to fill an immediate opening for a road maintenance employee. Position is full-time and requires a CDL. Home Care Aide: Part Time: Tuesdays, Saturdays & Sundays – 7 am to 9 am, noon to 2 pm and 4:00 pm to 6:00 pm for elderly woman located in downtown Clarion. Looking for multiple people to work some/all shifts per day or split up shifts. Provide housekeeping and laundry services; prepare sponge bath, gather daily clothes, prepare meals and snacks for day, weekly grocery shopping, and other basic household needs, walking dog, running errands in Clarion area. Resume with prior experiences and references will be required. Text or Call 229-4710 for interview. Jefferson-Clarion Head Start, Inc. announces an opening for an Early Head Start Parent Educator. The Early Head Start Program provides comprehensive services and home visits to pregnant women, infants and toddlers. The Parent Educator delivers home visits that encourage parents to develop and strengthen their skills as primary educator of their child(ren) by providing support and information about child development, educational activities, social services and community resources. They are also responsible for working directly with a caseload of parents in order to implement a structured Family Partnership Agreement process designed to identify family needs and assist in meeting those needs. rehabilitative science, infant and maternal health, or related social services field. have Act 34, 151 & 114 clearances at time of hire. For questions, please call 814-849-3660 ext. 100. Point of Caring, Inc. is now hiring Direct Care Staff. Being a direct care staff involves patience, empathy, strong interpersonal skills, and detailed knowledge of best care practices. You will assist each individual with their daily living tasks to help ensure good quality of life. No experience needed. Trainings offered within company after hiring process. Join our growing and dynamic team! Deer Creek Winery is currently seeking an Entry Level Customer Service Specialist to assist with wine samplings, sales, as well as onsite and offsite events in a fast paced and fun environment. Bauer Truck Repair is looking for a full-time Diesel Technician. Applicants must be reliable and have proven experience as a Diesel Technician. Very competitive pay, health insurance, and vacation and sick days. To apply, stop at Bauer Truck Repair, 1205 Doe Run Road, Shippenville, Pa. 16254. 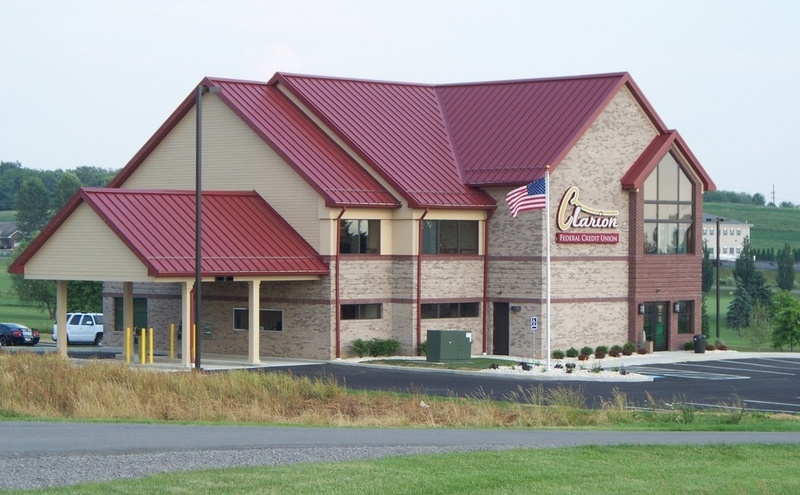 Clarion County Community Bank has an immediate opening for a part-time teller at its Clarion office. Join our team of tellers who perform banking transactions in a courteous, accurate, and efficient manner. Either a strong retail cash experience background or previous bank teller experience is preferred. Send resume to Maria Wahl, Branch Manager, 333 W Main Street Clarion PA 16214 or mwahl@clarionbank.com Deadline for consideration is April 12, 2019. Join our growing and dynamic team! The Inn at Deer Creek Winery is currently seeking a part time Housekeeping Attendant to perform routine duties in cleaning and servicing of guest rooms and baths. The attendant should maintain complete knowledge of and comply with all housekeeping departmental policies/service and also The Inn procedures/standards. Venango County is currently accepting applications for full-time (40 hrs./wk.) Department Clerk III positions for our Human Services Clerical Department. To perform specialized departmental clerical duties and responsibilities within Venango County Human Services. During the selection process, a written exam may be required in determining suitability for this position. Also, candidates must successfully pass an interview. All applicants are required to submit a County Application for Employment in order to be considered. County applications are available at and must be completed and returned to Venango County Human Resources, Troy A. Wood Human Services Complex, 1 Dale Ave., Franklin, PA 16323 no later than 4:00 p.m. on 04/09/19. Documents are available via the following methods: app and job description by email upon request; qualifications online at www.jobgateway.pa.gov; applications on our website by visiting the HR Job Application Process section of the Venango County Website at https://www.co.venango.pa.us/288/Job-Application-Process and clicking the appropriate link to download the form. New Light Inc. is accepting applications for Direct Care Personnel in the Clarion/DuBois area. This position will provide support for intellectually/developmentally disabled individuals in a community based residential program. All shifts available, especially nights and weekend shifts. New Light Inc. is an equal opportunity employer. Turning Point Treatment Center, located in Franklin, PA, an addictions treatment center, is looking for a Full Time Addictions Counselor. Previous experience in addictions or behavioral health care preferred. Previous knowledge in the disease of chemical dependency, dual diagnosis, opiate addiction, recovery, and 12 step recovery programs preferred. Counselors are responsible for providing intensive, counseling services to a caseload of clients with a primary diagnosis of alcohol and/or drug addiction. Turning Point offers a comprehensive benefit plan to Full time staff and a competitive salary commensurate with experience and qualifications. EOE. Oversees implementation of treatment plans. Has regular contact with referral sources. Identifies family issues needing addressed before discharge. Plans treatment services as required. Provides Group and Individual Therapy to clients. Bachelor’s Degree Required, and Certified Addictions Counselor Certified or eligible is preferred. Benefits available after short waiting period. Paid Vacation and Sick time Available after 90 days. Turning Point Treatment Center, located in Franklin, PA, an addictions treatment center, is looking for a Full Time Nursing Staff. Oversees medication management / detox protocols. Has regular contact with physician and provides assessments and nursing care to all residents. Medication management in detox / substance abuse treatment setting. Terra Works, Inc of Clarion, PA is looking to hire a CDL Driver. This position is responsible for the safe, efficient, economical movement of material and equipment from one location to another as well as keeping TWI equipment in clean, serviceable condition. Operate tri-axle dump truck safely and efficiently on public highways and in off-road situations to deliver equipment, asphalt or aggregate material into asphalt paver, widener, stone box, storage bins or onto stockpiles. Perform daily commercial vehicle inspection to ensure operational safety and report all equipment malfunctions to maintenance staff. Complete reports for out-going and returned equipment. Complete log book and trip sheets meeting all D.O.T. and company record keeping requirements. Perform manual labor such as shovel material and roll tarps as assigned. Must be capable of transitioning from driver to heavy highway laborer. Must be willing to travel a 100-mile radius of Clarion County. Applicant must possess a valid Class A CDL, pass a DOT physical and drug test. Working knowledge and understanding of Safety regulations and DOT guidelines. Possess experience in towing construction equipment, operating safely within high traffic in small areas. High School education/GED, or equivalent education and experience. Please send resumes to Ryan Koser at rkoser@terraworksinc.com or call 814-226-0702 ext. 112. Clarion Healthcare and Rehabilitation Center, a subsidiary of Guardian Healthcare is looking for a Registered Nurse to provide the delivery of safe and therapeutic resident care from admission through discharge in collaboration with the physician, family, and other members of the multi-disciplinary health care team. Participate in care planning process; update care plans as needed. Conduct rounds on all wings daily, including environmental rounds and rounds to assess each resident’s care needs. Responsible for implementing and monitoring policies and procedures of facility. Review documentation such as monthly assessments, daily progress notes of RN/LPNs, and make recommendations. Review Monthly MAR, TAR, and MD orders for accuracy. Guardian Healthcare is a growing family of skilled nursing facilities committed to providing the highest quality of care and service to our residents. Guided by our mission and legacy values, we are relentlessly driven to achieve the best outcomes for those whom we serve. Jeff’s Performance Plus in Shippenville has an opening for an Office Assistant-Secretary. Jeff’s Performance Plus, located on Riverhill in Shippenville, is a NAPA AutoCare Center, complete automotive repair, trailer repair, ATV-UTV-golf cart repairs, full line of automotive accessories, and detailing shop. A law firm in New Bethlehem, Clarion County is seeking a full-time professional assistant/secretary. Mon. – Fri. 8 a.m. – 4:30 p.m. The position will support office professionals and the everyday operations of the office. review, sort and distribute mail; review and schedule/calendar appointments/due dates from letters, litigation documentation, depositions; and court orders for hearings and appearances. Professional office experience in a legal field preferred. AmeriCorps is currently recruiting members to provide Academic Engagement Services to students of Clarion Elementary School. Selected applicants will enroll in the AmeriCorps Program to serve until June. Amazing Stitches in Emlenton has an immediate need for a part-time Industrial Sewing Specialist with potential of becoming a full-time position. Position will involve sewing of high quality covers of various shapes and sizes using an industrial sewing machine. Amazing Stitches is a family owned and operated business in downtown Emlenton, Pennsylvania since November 2009. Amazing Stitches offers Screen Printing and embroidery, as well as, a fully stocked quilt shop and quilting classes to get you started. Amazing Stitches proudly serves many businesses and organizations in the local community and surrounding areas. Allegheny Wood Products is seeking an industrial boiler technician. This is a 12 hour shift, 4 days on, 4 days off position which involves weekend and holiday work. Must have boiler background along with water chemistry understanding. Some maintenance skills are also necessary. We offer competitive wages and benefit package. Please mail your resume to PO Box 30, Marble PA 16334, email mwright@alleghenywood.com, or apply in person at 17761 Rt 208, Marble, Pa.